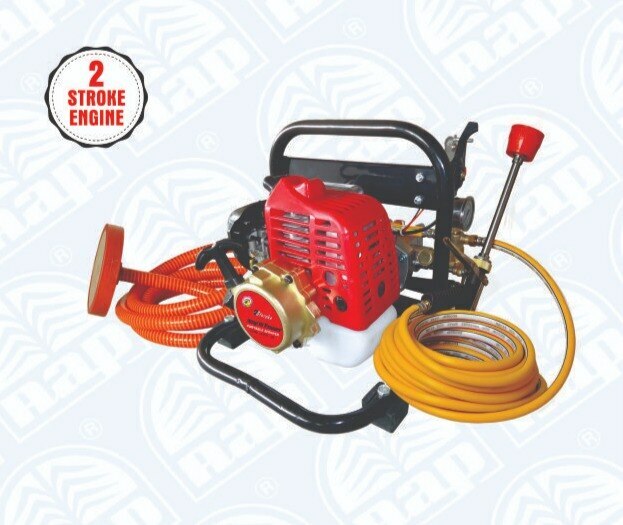 • Brass pump cylinder and working pressure is 30-35 kg/cm². • Pump flow rate is 10.5 litre per minute. 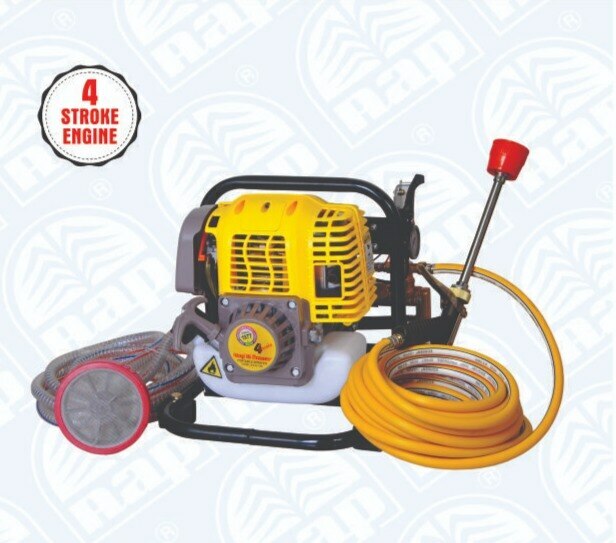 • Light weight, single cylinder, 4-stroke 31 cc air cooled engine. • Petrol tank capacity is 900 ml. • 1 Feet spray gun. • 550-600 litre pesticides spraying per hour. • Fuel consumption is 480 ml per hour. • Delivery hose can be used upto 100 meter length. • Brass pump cylinder and working pressure is 30-35 kg/cm². • Pump flow rate is 10.5 litre per minute. 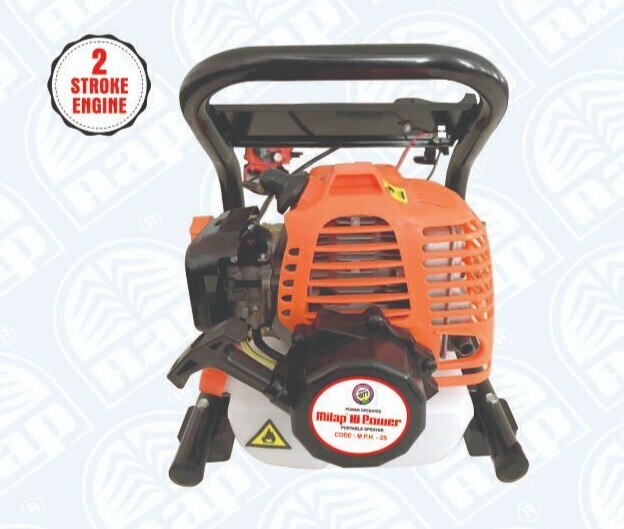 • Light weight, single cylinder, 2-stroke 26 cc air cooled engine. • Petrol tank capacity is 900 ml. • 1 Feet spray gun. • 550-600 litre pesticides spraying per hour. • Fuel consumption is 900 ml per hour. • Delivery hose can be used upto 100 meter length.